It is well recognised that patients attending infertility clinics generally experience feelings of frustration and inadequacy, and frequently display signs of emotional distress. Historically, childlessness has always been recognised as a problem, whether as a misfortune or even as an offence (Carr 1963). Likewise, it has long been suspected that infertility may, in some cases, have a psychogenic basis. 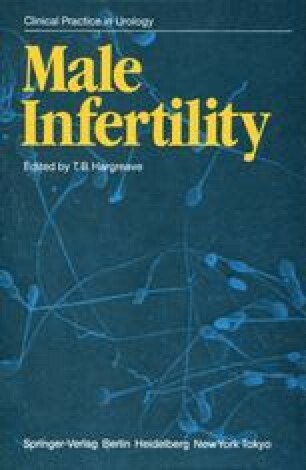 The question of the relationship between psychological variables and infertility is nevertheless a complex one, and the literature, although extensive, is speculative, anecdotal and contradictory. Few studies meet adequate methodological standards. Nevertheless, any consideration of the relevance of psychological factors to infertility management must address the question of psychogenic infertility.